Oil changes: Any car expert will tell you that the best way to take car of your vehicle is by being on top of regular, scheduled oil changes. We use only the best products and make sure your vehicle is in top performance shape when you bring it in for its regular service. No matter how simple the service is, we are your go-to BMW, Porsche or Audi repair shop in Conway, AR. Tune-ups: Keep that foreign car running great at our Mercedes-Benz and BMW repair shop in Conway, AR. With regular tune-ups, we can keep a close eye on your performance vehicle, making sure it is running smoothly with plenty of years left to drive. Brake service: Waiting to get your brakes serviced can be a costly error. Full brake and rotor repairs are unnecessary when you are keeping up with regular maintenance on your brakes. If you’re not doing that, you’re in luck. Our expert technicians will keep up with the service of your vehicle and be sure your beautiful foreign vehicle is well taken care of at our Porsche and Mercedes-Benz repair shop in Conway, AR. Routine maintenance: Any mechanic will tell you: easy repairs are good maintenance. When you take the time to tend to your vehicle, keeping it in excellent condition through regular scheduled maintenance, your vehicle rewards you with years of great performance. Stop by our BMW and Porsche repair shop in Conway, AR, and talk over your vehicle’s maintenance needs. 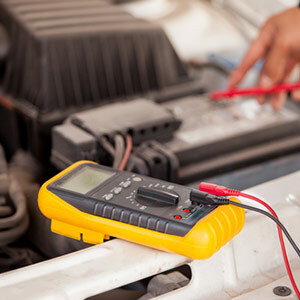 When you need maintenance and service on your foreign car, call us at 501-205-8622 and find out why our customers trust us with their performance vehicles.